There is something about baby animals and Easter that just brings out my inner ‘awwwww!’ Maybe it is because Spring symbolizes the start of something new, freshness, and pure joy that Winter’s cold is finally over. Or, maybe it is just because baby animals are so stinkin’ cute. Every year we try to find a local farm with baby bunnies and chicks to hold and pet. Well, now you can make some of that adorable fun at home! 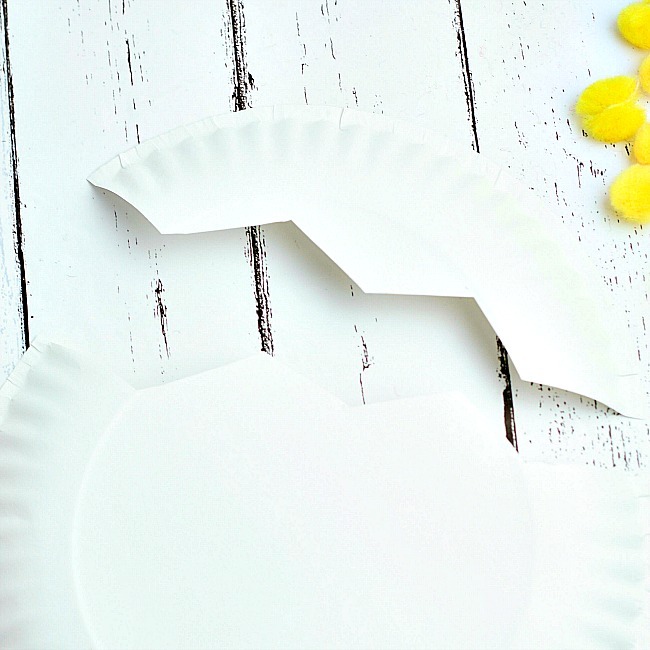 Just in time for Easter we have discovered this super fun paper plate craft for kids that your kids will actually be able to make, mostly by themselves. And it is sooo cute. Maybe not as cute as those fuzzy little chicks you will hold at the petting farm.. but pretty close! 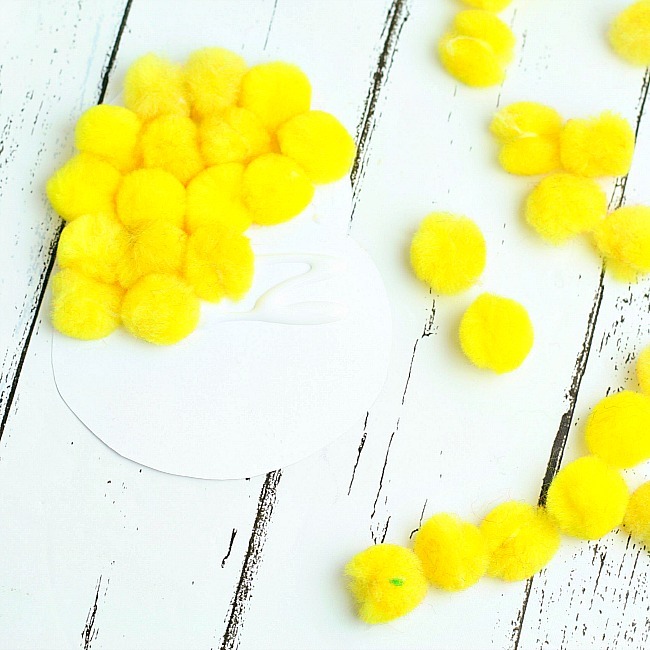 Glue yellow pom poms on the template. Glue googly eyes on top of the yellow pom poms. 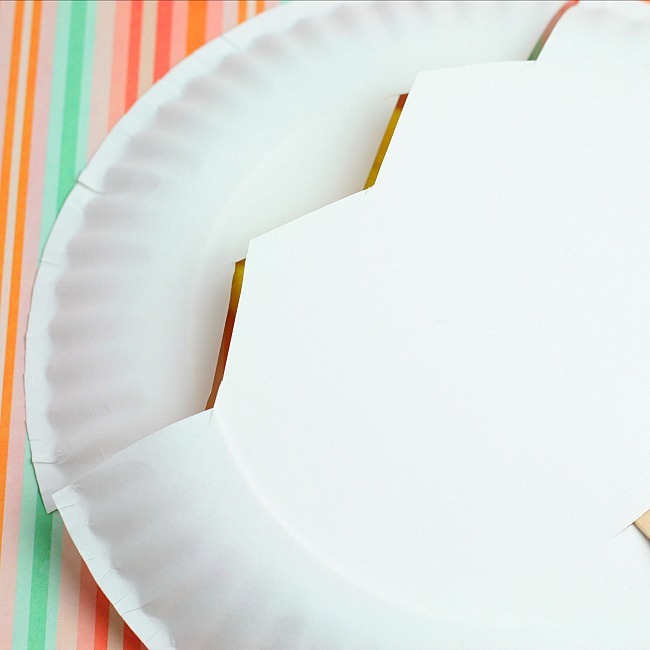 Cut a small triangle out of orange construction paper and glue it under the eyes. 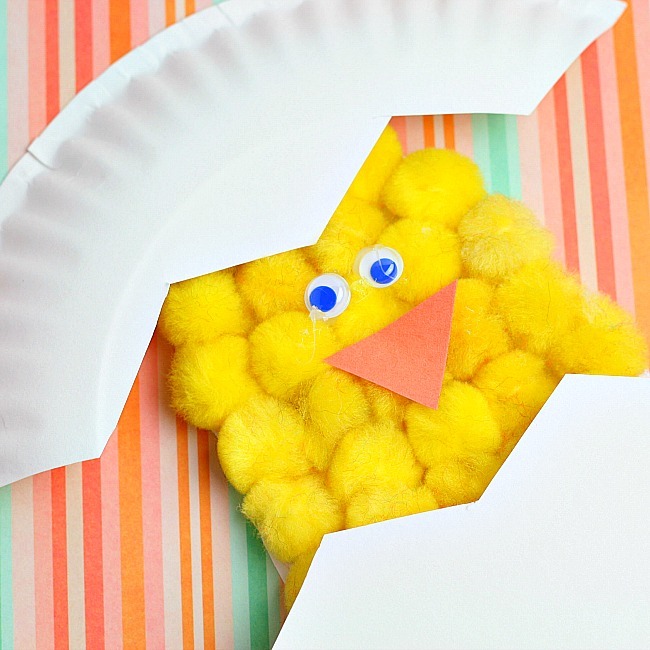 Cut the paper plate in a zig zag line and glue the top half of the paper plate to the top of the chick’s head. Glue the craft stick to the back of the chick. 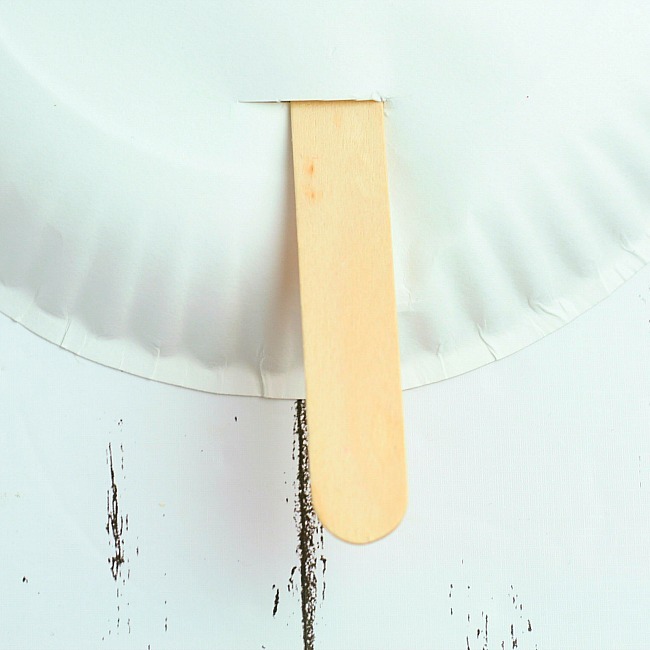 Cut a small slit along the bottom of the paper plate and slide the craft stick through the slit. 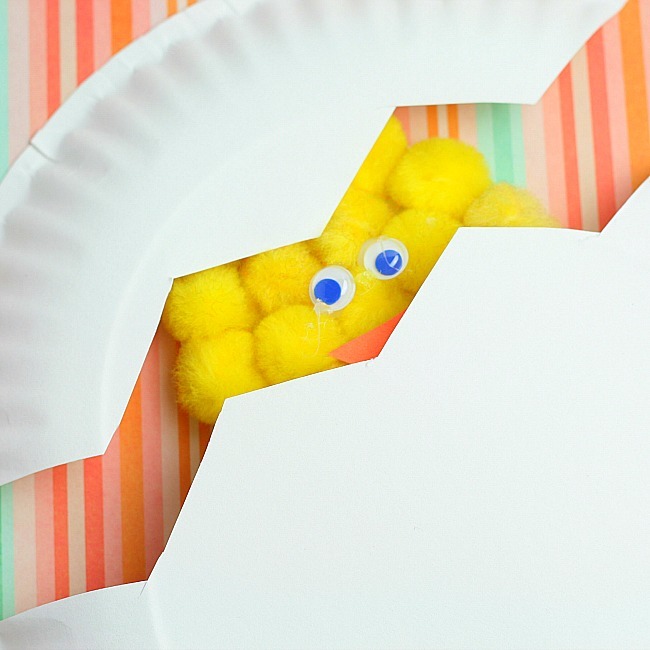 Move the chick up and down to make it hatch from its egg. Isn’t this little chick so cute? 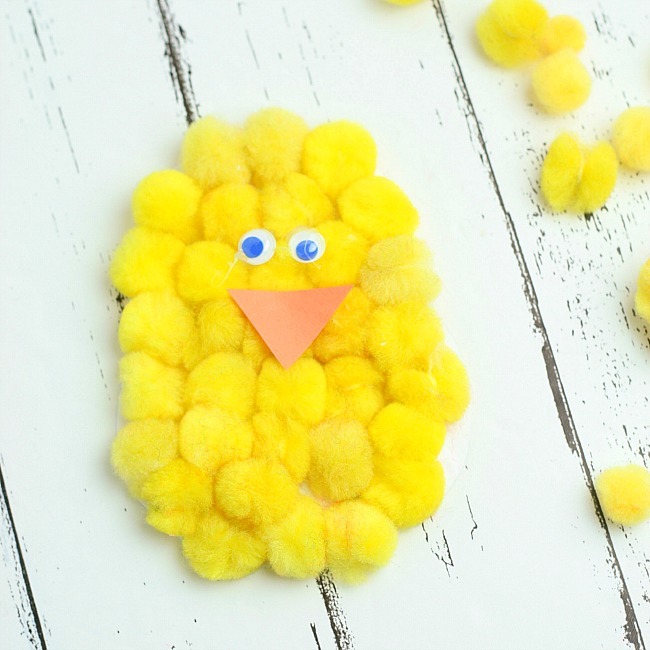 Such a fun Easter craft for kids! 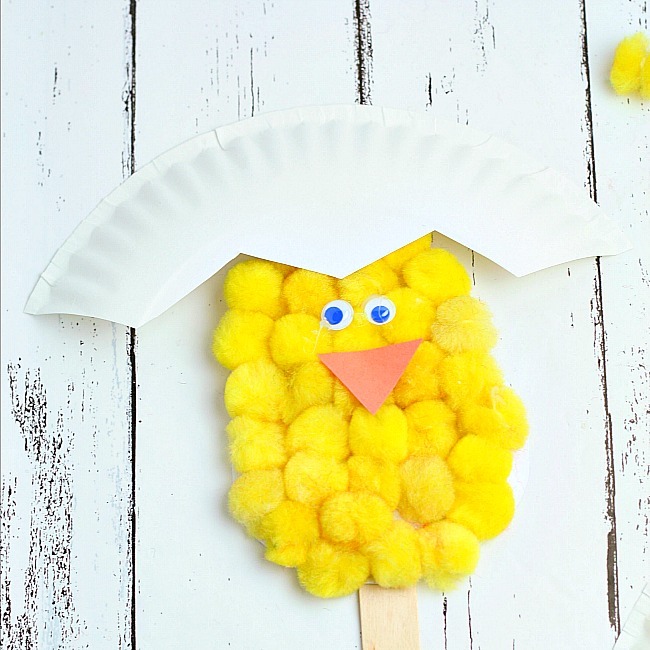 Here are some other super cute Easter Craft Ideas for Kids! 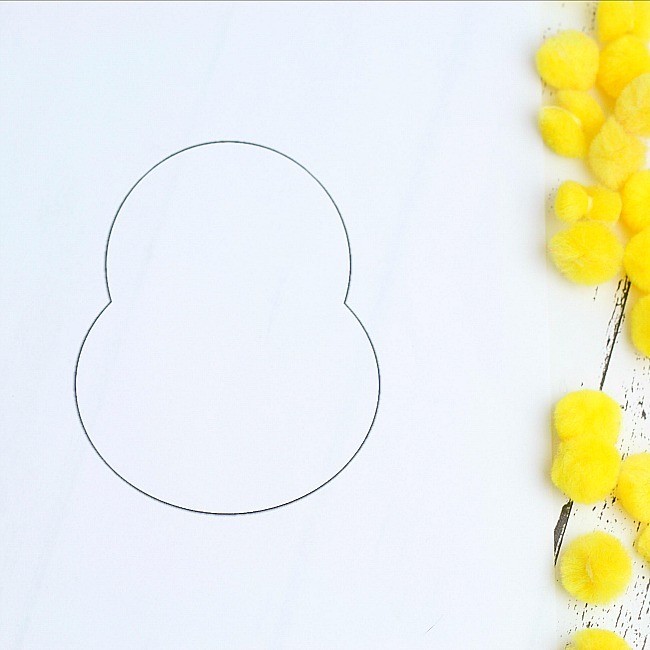 Great ideas to decorate Easter eggs without using Dye! 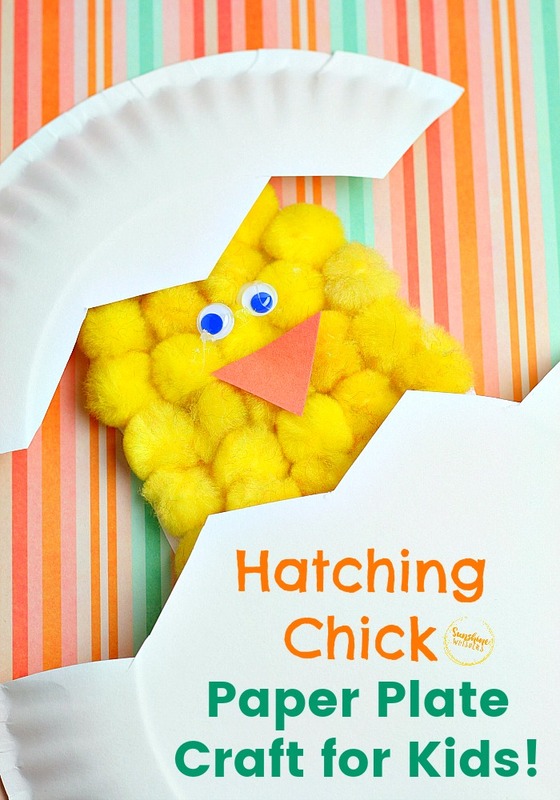 Don’t forget to snag your hatching chick craft template!